That depends: Is it really a prefab or is it one model? A prefab can be ungrouped by right-clicking on it and selecting "Ungroup Selection" (fifth option from the bottom). The spacer in your picture is not a prefab (i.e. a group aof models saved together for easier use), but a single model. This can only be divided by using a modeling software (like Blender). There should be a single square though, isn't there? Destined - Is what I thought was maybe happening, but the prefab mansion door seems like it's comprised of several models grouped together. In which case, shouldn't a "RMB > Ungroup Selected" work for it? However, it's not an option (grayed out, as I recall). All this made me think that maybe the artist has the ability to manually lock down a prefab so it can't be ungrouped; like if they don't want people messing with the their prefab or reverse-engineering it. 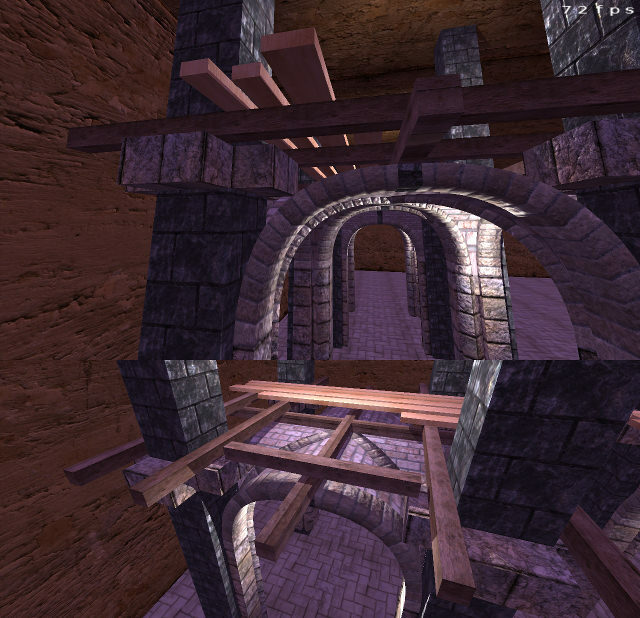 the missing triangles, seem to be a result from dmap being rewritten from the original doom3 version. missing triangles turn up in the 2.06 version but not the 2.05 version. it seems that some triangles that were originally seen as being clockwise from one side, have now become anti-clockwise/counter-clockwise the complete opposite of what they once were. Technically there's no triangle shaped hole, its just something has reversed there draw direction. Edited by stumpy, 31 July 2018 - 02:34 PM. Edited by Darkness_Falls, 31 July 2018 - 08:08 PM. Maybe I'm thinking of the corner piece. It's not possible to lock prefabs in any way, unless you export them as a model. I agree. The easiest way to determine, if they are prefabs or model is: how do you insert them into your map? If you use "Create Model" it is a model and cannot be changed, if you use "Insert Prefab" it is a Prefab comprised of seveal models and can be ungrouped. But (if I remember correctly) most if not all of Springheels modules are models, even if they seem to have several parts. missing triangles turn up in the 2.06 version but not the 2.05 version. That's definetely not the case. It may be that the revision of the dmap code as described by you has worsened the issue, but I remember having those missing triangles for a long time (1.08 or so). I got the triangle problem mainly on world brushes converted to func_statics. I got round the triangle problems by exporting func_static to ase models, then reimporting the models and removing the func_statics with the problem triangles. One map had the same func_static set of stairs used several times, all the func_statics had triangle shaped holes in them, in 2.05 they didn't have any holes, in 2.06 they had a lot of holes, converting the func_static to a ase model made the triangle shaped holes dissappear. I tried starting to map for 2.05 in August 2017 and gave up because every brushwork getting more complex than a simple box sooner or later got some triangle missing. So the problem definitely existed before 2.06. The rate of reporting definitely seems higher since 2.06. Might be multiple issues causing the bug. 2.06 might have added one issue to the set. 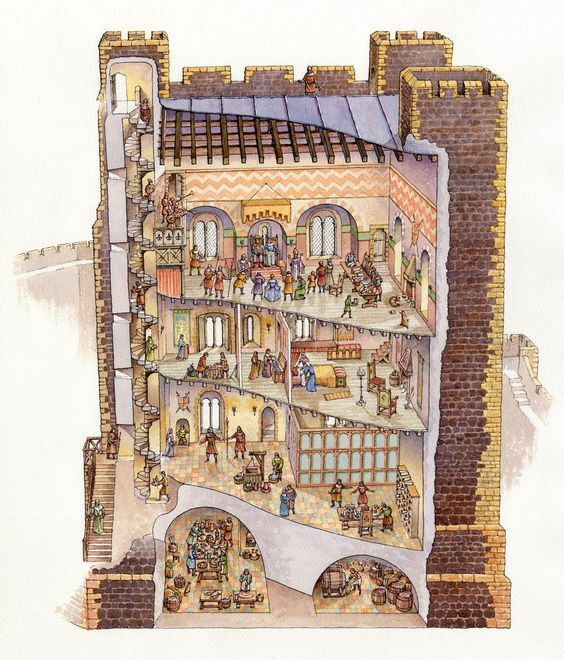 Maybe it is not the proper thread, but I have question more about architectonical realism than DR technics, and I'm wondering if someone with technical and historical knowlege may answer it. 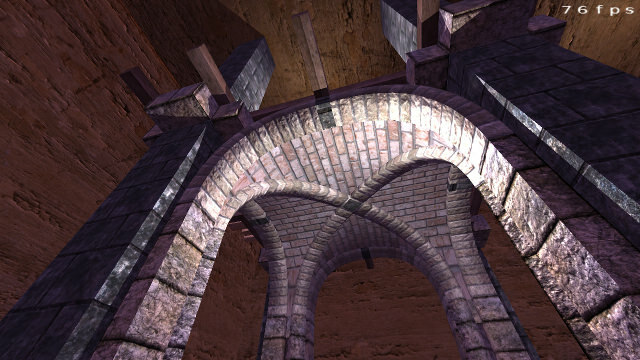 In stone vaulted ceilings you see arch type of stone alignment distributed in four directions, but how exactly the space between stone ceiling and next floor is filled? 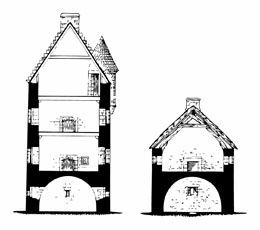 I'm not talking about fortifications and cellars, but upper floors that requre careful thinking about weight distribution. In pictures of colapsed arches I've seen only mortar and stone filling but it looks way to heavy for tall buildings. So does the planks of the next floor will be suported along the ridge of the ceiling like that? or will the crossing arches be elevated into floor's support? 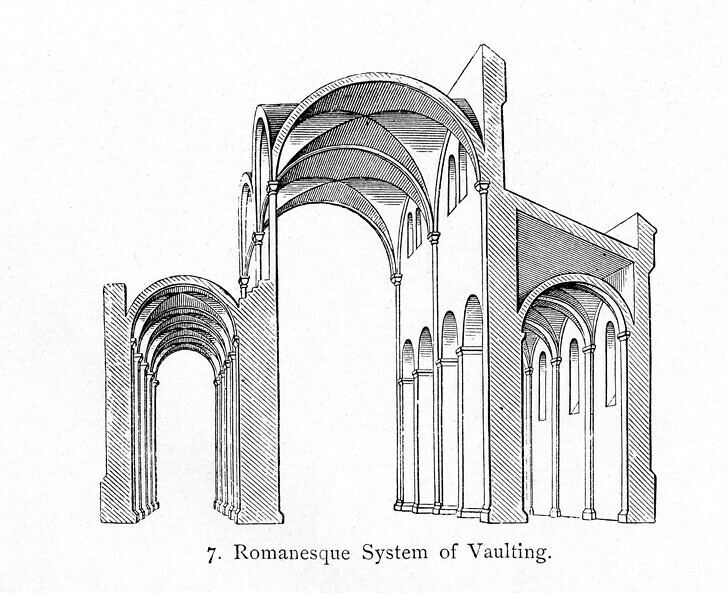 (here you don't see actual ceiling to ilustrate more clearly how arches are structured). 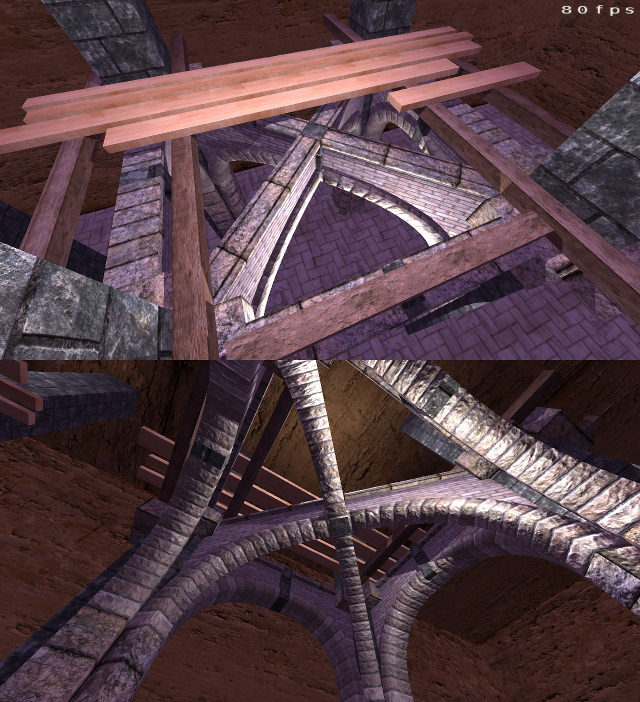 Really digging your patch work and the structural modeling on those arches/vaults, the attention to detail. Way to go. There were also cases where the vaults were actually used in order to create impressive spaces (churches and noble buildings). Then in this situation they would probably be the final element before the roof. Edited by RPGista, 14 September 2018 - 07:16 PM. Thats a bit dissapointing, as it encourages blocky, old game era look of most of condignations. But still, even rows of stone wall protrusions and beams lying above is something that I don't recon seeing often enough.